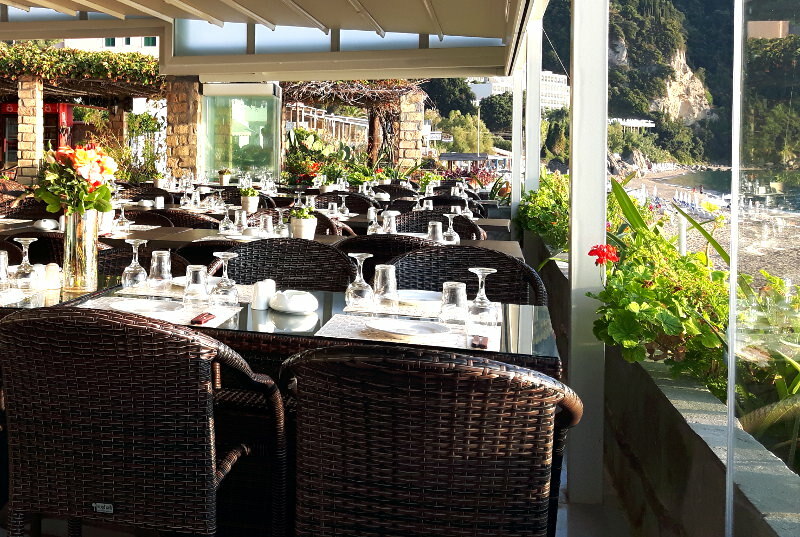 Start your day with a Greek buffet breakfast on our terrace overlooking the Ionian Sea. 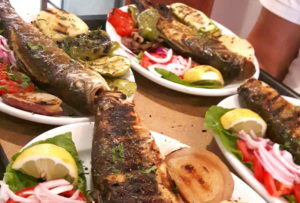 The buffet is open for you from 09.00am to 11.00am. Take a short break from sunbathing and enjoy some of our snacks, fresh salads and drinks. The a la carte restaurant is open daily from 12:00 to 22:00. 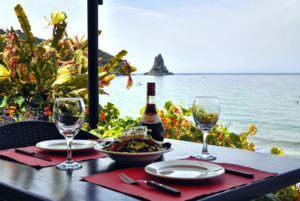 Have your lunch or dinner on our beautiful flower terrace overlooking the sea and enjoy unique sunsets. 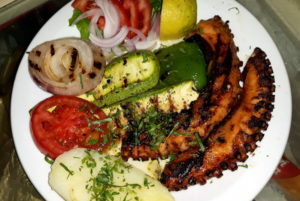 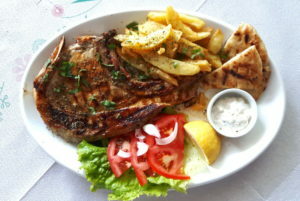 Our restaurant offers traditional Corfiot dishes, Greek cuisine, fresh fish and seafood.